Emily was stunning on the red carpet at the world premiere of Mary Poppins Returns! She is the sweetest lady. I got the opportunity to interview her and take a few pics with her at the after party as well but that will be in a later post! I absolutely loved her look from head to toe! I also loved her in Devil Wears Prada, one of my favorite movies lol. 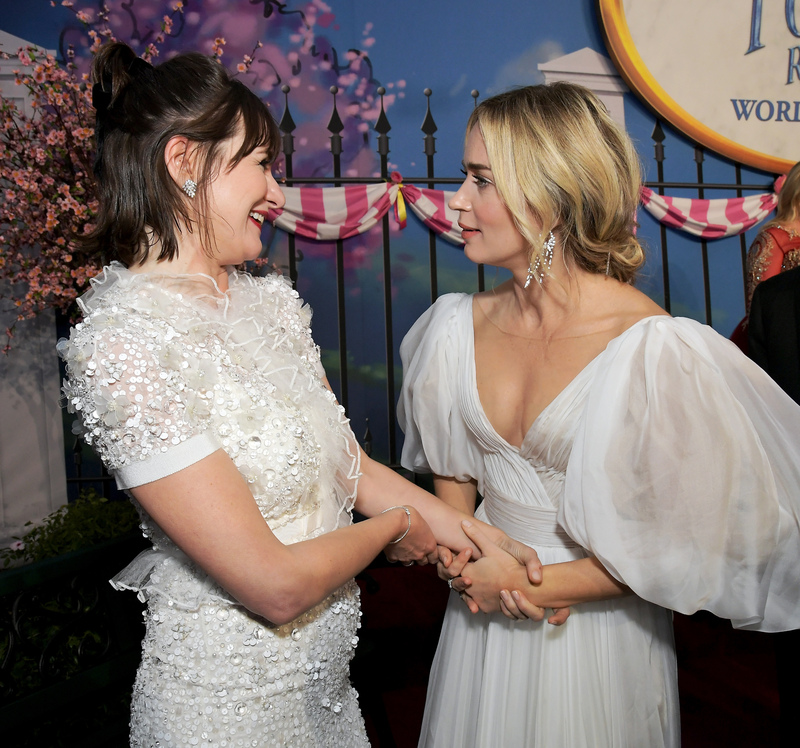 Emily is also getting big Oscar buzz as the nanny in this film. I have the details on what she wore on the carpet inside and don’t forget to check out Mary Poppins on December 19th! Emily was wearing a Yanina Couture dress, Loriblu shoes, a Judith Leiber clutch and Stephen Webster jewels. I would love to own such a lovely dress. I loved her dress, wow!